You can see just how powerful the winds are as Hurricane Florence makes landfall in North Carolina. 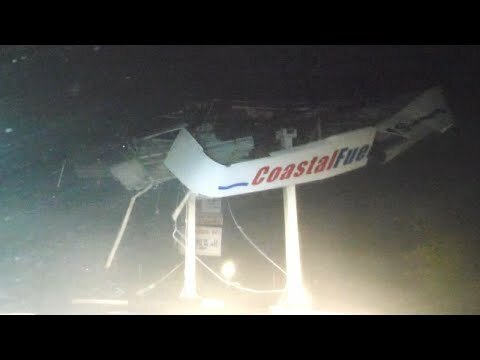 A gas station roof in Wilmington was torn apart as the storm pummeled the East Coast. In Beaufort, an American flag was ripped to shreds by strong gusts. At least 200 people are being rescued from their homes. InsideEdition.com’s Leigh Scheps (http://twitter.com/LeighTVReporter) has more.